There is a lot to be said for the power of virtual reality as a digital tool for engaging students, both individually and collectively, in any number of active and customized learning activities. 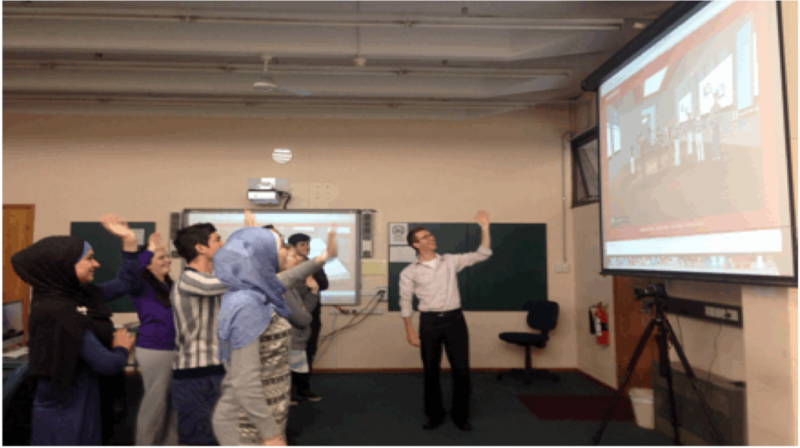 Just ask Matt Bower, a professor at Macquarie University in Australia, who is successfully using the virtual world platform, AvayaLive Engage, to connect online and on-campus, pre-service teachers in a unique learning experience. 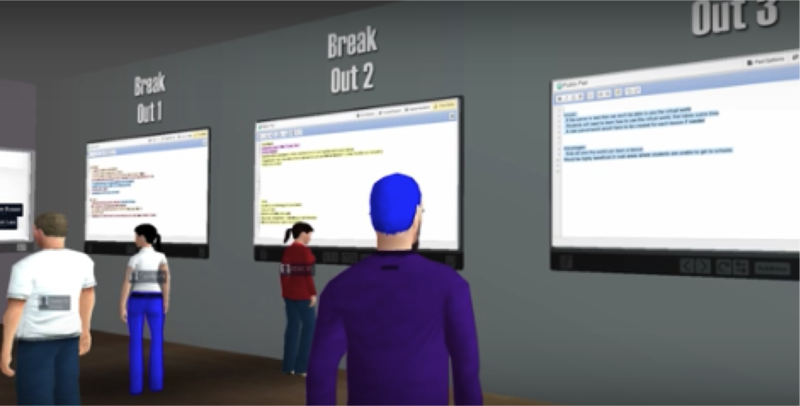 To ensure two-way communication, online students assume avatar identities that their on-campus peers connect with in the virtual world through the wonders of large-screen projection. Conversely, embedded video streaming enables those learning remotely to see and hear what’s going on in the physical classroom. Equally impressive, the AvayaLive learning environment can facilitate either whole-class interaction or individual workrooms for team discussions with notes being automatically shared between the virtual and physical learning spaces. So how is this grand learning experiment working out? According to Matt Bower, quite well, indeed, having proven to support formal, informal and social learning needs by facilitating virtual classrooms that are collaborative, active, and in-the-moment. He also believes that life-like avatars create a level playing field for those who might be more intimidated in a face-to-face learning environment. And on top of that, these trailblazing virtual world technologies are paving the way for even greater online access to quality education by bridging the transactional distance regardless of where students live and choose to learn. It is why we, as educators, try to push the boundaries of traditional teaching and learning. 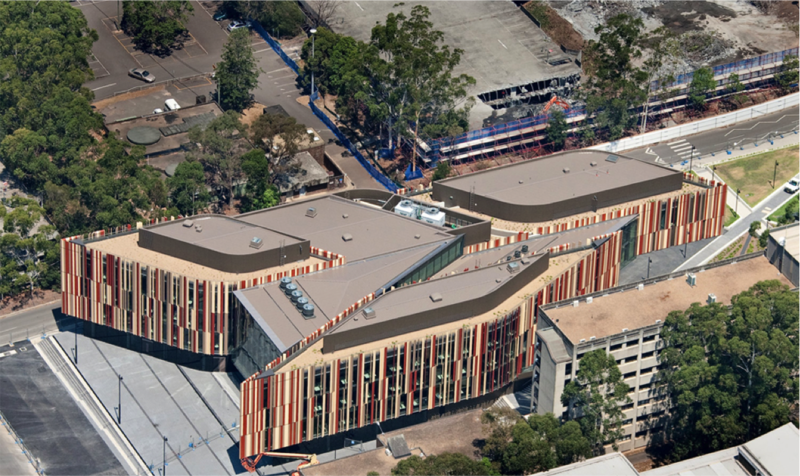 Today’s diverse and dispersed students expect a collaborative and interactive learning environment. Fortunately, today’s technologies enable a myriad of approaches in designing one. Using a smartphone, tablet, or any type of computer, students can be engaged by increasing the interaction and collaboration between students and teachers or among peers. The goal is to provide an environment in which students can connect, collaborate, create, and learn. 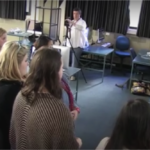 Often times, instructors will blend the traditional classroom with a digital online environment. The design is a variety with many shapes and sizes from Multi-User Virtual Environments (MUVEs) to 3D Virtual Learning Environments (3DVLEs). Regardless, students can actively learn through a variety of hands-on activities, small group interactions, and self-directed learning, peer-to-peer learning, or teacher-led learning. The many elements of support for learning and teaching, both formal and informal, include 3D digital content sharing with audio and video chat. Students share their desktop, show a presentation, put files in a drop box, collaborate at whiteboards, post and stream recorded video, and project live video onto the video wall for truly flexible learning. 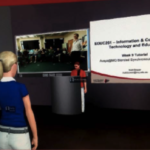 The blended reality virtual learning environment takes it a step further by integrating students in the physical classroom and those remote so that they have a real-time social presence in a virtual classroom. 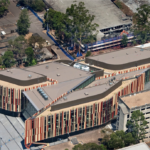 One interesting example is a “blended learning” study conducted by Professor Matt Bower at Macquarie University in Australia. The concept was to deliver face-to-face tutorials to pre-service teachers remotely located and those physically present in the classroom. 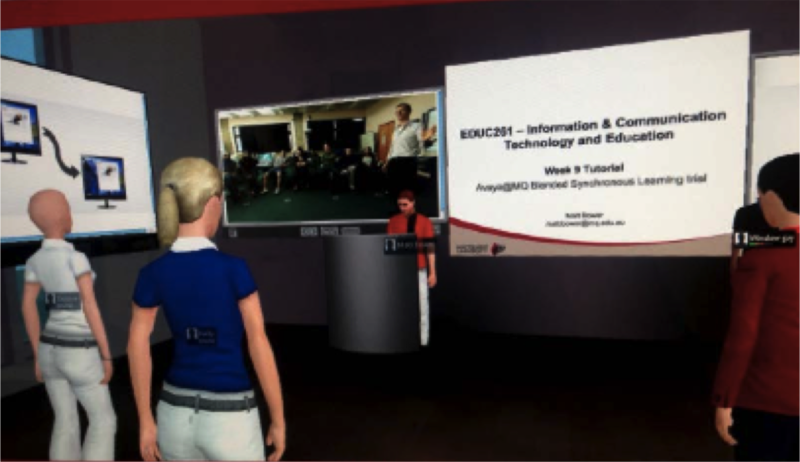 Through a 3D virtual world environment developed by Avaya, learners and instructors alike could interact with content and each other as lifelike avatars. 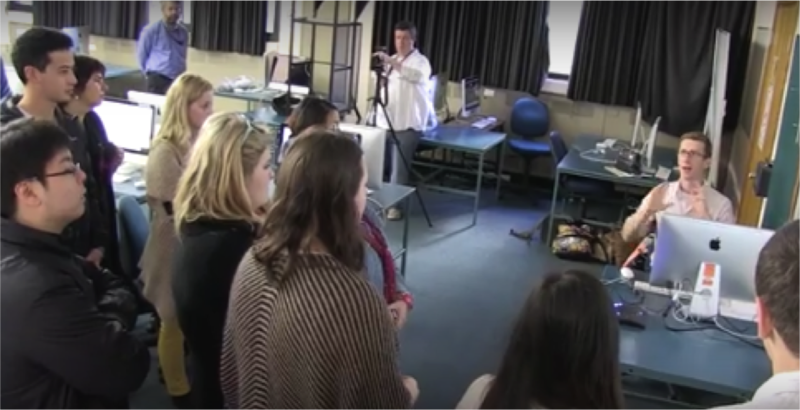 This blended reality learning environment made it easy for students to become fully immersed and fostered effective collaboration. 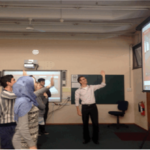 While the idea of this project was to demonstrate to pre-service teachers ways to engage remote students, it provided a much deeper experience. It prepared them to meet the expectations of future students. The millennial generation, for example, expect to have access to tools they use in their personal lives that empower them to connect and collaborate in a way that is immediate and efficient, interactive and self-directed. Creating a blended reality virtual learning environment is a great way to meet the demand of today’s students and prepares students for future work environments, which will most likely entail collaborating in virtual teams. 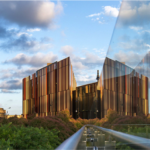 Macquarie University, once again, takes an innovative approach to transform teaching and learning. Congratulations to Professor Matt Bower on a job well done.